With Democrats capturing control of the House of Representatives in Tuesday’s midterms, one lawmaker will reclaim the mantle of Washington’s most powerful woman – and an opposition scourge for US President Donald Trump. Democratic Minority Leader Nancy Pelosi is expected to become speaker of the House, a position she held for four years from 2007, when she made history as the first woman ever to rise to that post. Should she take the gavel from outgoing Speaker Paul Ryan, the 78-year-old would become the nation’s third most senior official, after the president and vice-president – and seal her reputation as one of the great survivors in American politics. In her first stint, Pelosi was a strong opposing force to Republican George W. Bush in the final two years of his presidency. Her role as a check on Trump would be similar. 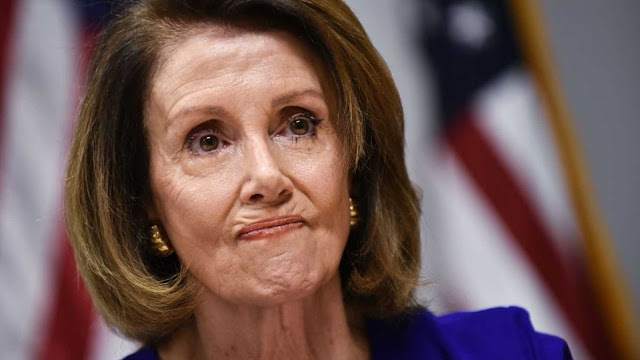 She and the Democratic leadership would have the power to block Republican legislation, hamstringing large parts of Trump’s agenda ranging from proposed new tax cuts to construction of a wall on the border with Mexico. And Pelosi could make life for Trump much harder if she launches impeachment proceedings. So far she has spoken out against using such a powerful political cudgel against him, arguing that the explosive step would likely mobilise Republican voters eager to protect the president. In her reprised role, she will have to thread a political needle, standing up to Trump when needed but also showing that her party is capable of working with the president to get laws passed. “A Democratic Congress will work for solutions that bring us together, because we have all had enough of division,” Pelosi said in a speech after claiming her party’s control over the House. Pelosi is unquestionably among the savviest political leaders of her generation. She shepherded then president Barack Obama’s health law through the House to its contentious, historic passage in 2010. Perhaps for that reason she is still seen by some as a liability eight years later, with Republicans presenting her as the ultimate liberal bogeywoman. “Can you imagine Nancy Pelosi as speaker of the House?” Trump asked a crowd at a Minnesota rally last month. Pelosi’s big comeback is no foregone conclusion. With Democrats winning the House, they must now elect their leader, and Pelosi’s future will depend on the outcome of a simmering party power struggle. Recent months have seen rising internal resistance, with dozens of House Democrats and candidates signalling their desire for change at the top – including Tim Ryan, an Ohio congressman who challenged Pelosi for the leadership after the 2016 election but fell short. “It’s not going to be a coronation,” Ryan told Fox News on Sunday. The internal resistance largely stems from Pelosi’s broad unpopularity among voters. Almost three-quarters say Democrats should elect a new leader in the House, according to an August Hill TV poll. Pelosi’s low approval rating raises questions about whether she could obtain the 218 party votes needed to win back the gavel. While she is clearly the front runner, Pelosi is aware of the sensitivities. She made no mention of the speakership race in Tuesday night’s remarks. “We’ll talk tomorrow,” she told reporters earlier. At least in part, Pelosi’s poor reputation is shaped by years of rightwing attacks. Conservatives depict her, the wife of an investment millionaire from California, as the embodiment of a leftist elite. She is accused of everything from wanting to raise taxes for middle-class families to supporting a massive influx of illegal immigrants. For three decades Pelosi has represented California’s 12th congressional district, which includes San Francisco, a stronghold of left-wing politics, counterculture and gay rights regarded by many heartland conservative voters as a true Gomorrah. Nancy Patricia D’Alesandro was born in Baltimore to a political family with Italian roots. Both her father and brother were mayors of the East Coast port city. After studying political science in Washington, she moved with her husband to San Francisco, where they raised five children. First elected to the US House in 1987, Pelosi rose through the ranks to lead the chamber’s Democrats beginning in 2002, a position she still holds. Pelosi, steeled by countless political struggles, has largely managed to hold her diverse caucus together. US politics requires donning “a suit of armour” and the ability “to take a punch,” she has said.